Here at Dominion Fertility we understand the difficulty and emotional stress the fertility journey can have on our patients. The last thing we want you to worry about it is financing your fertility treatments. We would like to walk you through the steps we take at Dominion Fertility to help alleviate that stress. Once you book an appointment one of our insurance specialists will contact your insurance company to verify your benefits. You will know what is covered and any out of pocket expenses before you even walk through the door at our office. We don’t believe in surprises at Dominion Fertility. You will also be assigned a financial counselor, who will be your counselor throughout your entire treatment. I would first like to define some common insurance terms to help understand the insurance coverage world. Deductible – The amount you are responsible to pay prior to your insurance coverage kicking in to pay. For example, if you have a $1,000 deductible you must have already paid $1,000 in medical expenses before your coverage begins. You then might have 80/20 coverage, which means your insurance will pay 80% of the total bill, while you pay the other 20%. Co-pay – The required amount you will pay at each medical appointment, usually $10-$50. Your insurance company determines this fee and it should be on your card. Lifetime maximum – This is an amount set by the insurance company and once you hit the max number coverage ends. The range is usually between 10-20 thousand. At Dominion Fertility we except the following insurances: Aetna HMO, Aetna PPO, Aetna POS, CareFirst PPO, Cigna PPO, Anthem HMO, and Anthem PPO. As a courtesy, if your insurance is out of our network, we will still call to see if you have any coverage. Most insurance companies that do provide coverage will usually have specific requirements in order to provide authorization. 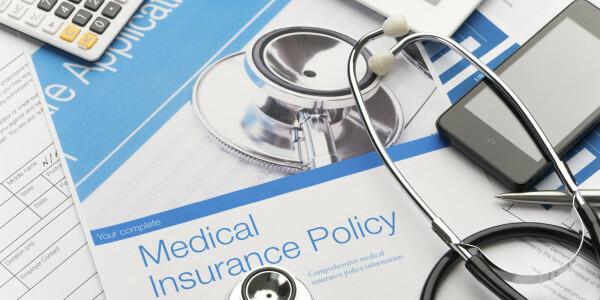 This can sometimes take up to 4 weeks for us to gather your medical records and build the case for your insurance company to approve necessary procedures. Unfortunately, we are not able to start treatment until we have authorization from your insurance company. It is unfortunate that some insurance companies do not cover any fertility treatments. Dominion Fertility offers many packages to help. First off, we offer Military discounts to all professionals. We offer egg freezing for $6,500, which is the lowest cost in the area and same with PGS/PGT screening at $150 per embryo. We have not raised our prices on Natural Cycle IVF since 2008; we like to keep our prices as low as possible for our patients. We also offer many different packages for stimulated IVF with financial guarantees. Dominion Fertility will offer a money back guarantee if no live birth is achieved. The doctors will need to approve your case to be entered into this program. We also have guarantees for our donor egg program. We are happy to offer financing of our services through a third party finance company. Another tip worth mentioning is to check with your HR department during open enrollment. There might be one insurance plan option that would be better for fertility services then other plans offered within your company. Lastly, if you choose to call multiple fertility centers to compare price, make sure you are comparing apples to apples. Each fertility center builds their pricing slightly different and some procedures that are necessary for your success might not be included in their base price. Make sure you ask a lot of questions about what is included in that price and any additional cost. Dominion Fertility has the best financial counselors, some of which have been with us for 20 years. We at Dominion Fertility are extremely committed to your success and would welcome the opportunity to help you have a family.